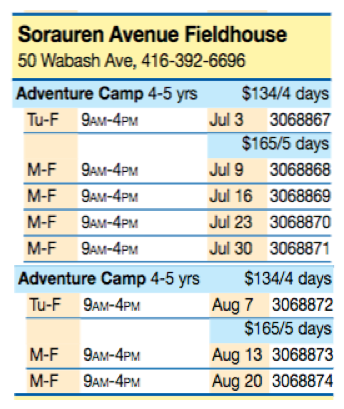 The City of Toronto through its Parks, Forestry and Recreation division runs March Break and Summer Camps for young ones at Sorauren Park. Visit the City site for the most current information. Summer Early Years Adventure Camp! Come joi n us for supervised fun and activities at Sorauren Park. Spaces available for Summer 2018! Register online at efun.toronto.ca. You’ll need your Family Number and Client Numbers. Use the barcodes in the charts below to select your program. Visit the online FUN Guide for more information, or call 416-392-6696. The Friends of Sorauren Park thanks Meridian Credit Union and our many valued sponsors for supporting park projects and free programming. Learn more. Have your say on the forthcoming Wabash Community Centre at Sorauren Park. Join our consultations. Calling all teenagers: SParkLAB is Sorauren Park's Youth Leadership Advisory Board. New members welcome! Built and used by Friends of Sorauren Park for park events, the bake oven is also available by permit. Every Monday, 3 – 7 p.m. The market remains indoors at the cozy Sorauren Fieldhouse until moving outdoors in late May. Youth aged 14-18 are invited to regular meetings of The SPark LAB, Sorauren Park’s new Youth Volunteer Council. Thursday, May 2 at 7:00 p.m., Sorauren Park Fieldhouse. Annual General Meeting of the Friends of Sorauren Park, all invited. Get involved. Meet neighbours and fun people. 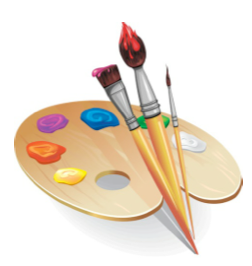 Build community… and community centres. Bring your ideas. Learn about volunteer opportunities. Saturday, July 27, 10 am – 2 pm, on Wabash Avenue at Sorauren Park. Pick up free compost, bring your old electronics, hazardous waste and other household goods for proper disposal. Hosted by the City of Toronto and Councillor Gord Perks. The Farmers Market moves indoors during the winter season at the cozy Sorauren Fieldhouse. This website is maintained by volunteers of Friends of Sorauren Park. Sorauren Park is owned and operated by the City of Toronto’s Parks, Forestry and Recreation division. You’ll find lots of information on this site, and we invite you to use the Contact page for specific inquiries. Stay in touch by subscribing to our e-mail newsletter, or follow SoraurenPark on Facebook, Twitter and Instagram.